Each year Maine Township awards grants to various social service agencies in need of funding to supplement their programs that benefit our community. Maine Township allocates these funds for local non-profit agencies to help address critical needs of Township residents. To be eligible, agencies must meet all eligibility requirements and complete the application process. Agency funding hearings typically take place in September or October at the Maine Township Town Hall, 1700 Ballard Road in Park Ridge, with funding decisions typically being made at the December board meeting. All agencies applying for funding have fifteen minutes to present. Members of the public are welcome to attend. 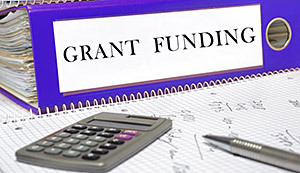 Each agency requesting funding from Maine Township must submit a grant application, which will be available starting on August 1, 2019. Agencies should use the instructions provided to guide them through the process. The application deadline for fiscal year 2020-21 funding is Friday, August 30, 2019 at 5 pm. For more information or if you have any questions, please contact Kristina Christie, Maine Township Agency and Program Coordinator, at kchristie@mainetown.com or 847-297-2510 x241.